Experts witnesses, particularly in the field of mental health, may find themselves traumatized by their work. Maintaining objectivity and avoiding emotional turmoil can be a challenge for experts, both in and out of the courtroom. Withstanding cross-examination also takes its own toll on experts. Megan Berthold, now a professor at the University of Connecticut, conducted psychological evaluations of torture victims when she was working as a clinical social worker. She testified as an expert in immigration proceedings when torture victims claimed asylum in the United States. An article in UConn Today reports that an immigration judge who read Berthold’s expert report on the psychological impact of torture on an asylum seeker asked Berthold how she was able to do her job without breaking. Berthold told the judge that she balanced the stories she heard from survivors about trauma and harm against the strength she saw in people who overcame torture and were on a path of healing. The immigration judge may have been unable to internalize her lesson. A short time after he asked Berthold about her coping skills, he resigned. Vicarious resilience, on the other hand, occurs when trauma therapists draw upon the strength of trauma survivors. Stories told by trauma victims who overcome adversity can sustain and empower experts to deal constructively with their adverse reactions to the victim’s experiences. fear of harsh criticism by attorneys and judges. The need to win tempts expert witnesses to embellish their testimony to make it more helpful to the party that is paying for their services. The need to be admired tempts experts to claim credentials they haven’t earned. The need to make money tempts experts to say what the client wants to hear. All of that can be avoided if experts “think of themselves as evidence.” An expert’s job is not to win the case. That’s the lawyer’s job. An expert’s job is to answer questions truthfully, based on the expert’s knowledge, experience, and analysis of the facts. Dvoskin and Guy offer good advice for potential expert witnesses who want to minimize the potential trauma of testifying. 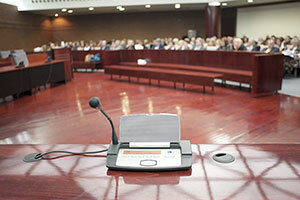 First, make sure you will be able to testify credibly. An expert who cannot be objective or who lacks “an adequate command of their field of inquiry” will not do well on cross-examination. Don’t be afraid to turn down an offer to testify if you don’t believe you are equipped to give a credible, informed opinion. Second, write an expert report that demonstrates your credibility. That means acknowledging limitations in your knowledge, identifying and addressing any studies that contradict the studies you rely upon, and assessing alternative opinions, explaining why your opinion is the best “fit” with the facts as you understand them (or with the facts you have been asked to assume the evidence will prove). [T]he most successful, respected, and admired forensic experts are those who understand their role in context. They realize that trials are not about them, and strive not to win but to explain their opinion as clearly as possible. While this stance does not feel quite so exhilarating as being the star witness, it allows one to practice successfully, over time, in a manner that is as lucrative as it is ethical. Following that simple advice will make it easier for experts to cope with the stress and anxiety that naturally accompanies giving expert testimony.